As an advisor, Ross is dedicated to helping his clients steward their finances. He enjoys learning about each client’s financial needs and is passionate about providing high quality service along the way. Ross is able to do this through the support of the strong team at Renaissance Financial and the knowledge he has developed over the years. 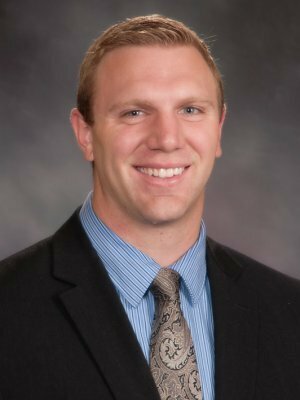 Ross earned a Bachelor’s of Business Administration from the University of North Dakota where he played football and was voted team captain for the Fighting Sioux. After joining Renaissance Financial, Ross went on to attain his Life and Health Insurance Agent License, as well as FINRA Series 7 and 66 registrations. In 2015, Ross qualified for Securian Financial Services’ Focus Club* for his production level and commitment to developing his business. Ross grew up in Omaha and continues to be engaged in the Omaha community. He is actively involved in his church, Heartland Christian Business Men’s Connection and The March of Dimes Foundation. He still loves to compete whether it is in basketball, golf or board games. Ross is married to his best friend, Emily and they have twin boys, Andrew and Barrett. Ross is a Registered Representative and Investment Advisor Representative with Securian Financial Services, Inc.